11/13/18: Complete. 276th Street between US-31 and just east of Webster Pit Road is now open to traffic. 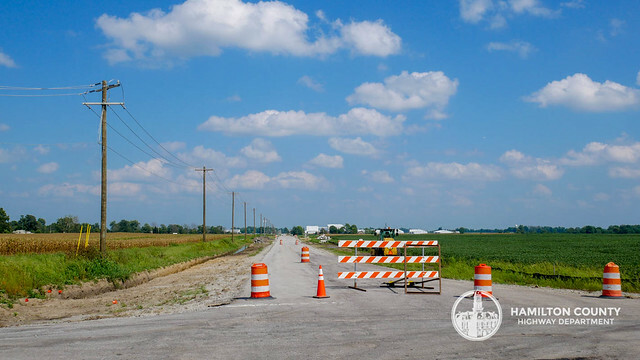 The project will take place along 276th St. from US 31 to Gwinn Rd. in Jackson Township. The purpose of the project is to rehabilitate 276th St. east of US 31, from US 31 to Gwinn Rd., a distance of 4.5 miles. The scope is to widen the narrow lanes and add 3' paved shoulders. Side drainage ditches will also be improved. To increase roadway width for increased traffic as well as improve drainage. This project will be funded with 80% Federal Aid and 20% Local funds.